Adding a Britannia mirror completes your fireplace. We have a range of overmantels, bevelled, brilliant cut and traditional framed mirror finishes in gilt, silver, pine or mahogany surrounds. 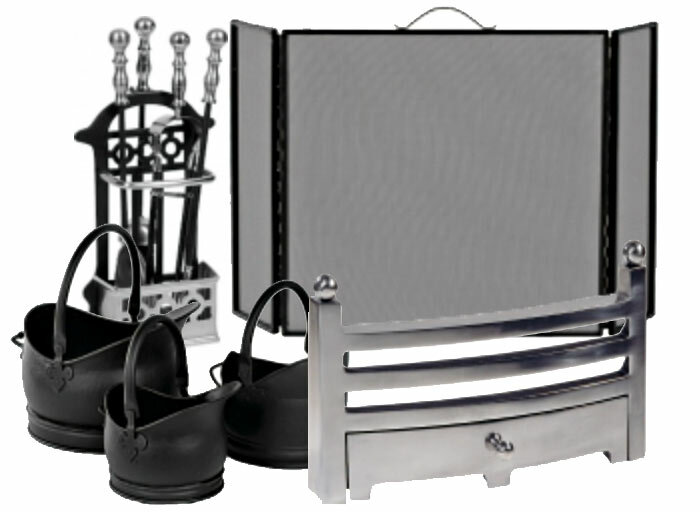 We also offer a range of products to complement your fireplace such as fire baskets, companion sets, fire screens, fire front, trim and fireplace cleaning products.